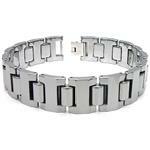 It is commonplace place these days for men to wear some jewelry as an accent to their clothing. 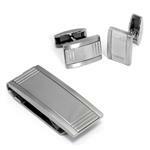 Rings are the most popular type of men's jewelry, followed by earrings or jewelry for body piercing and necklaces. 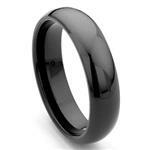 Men's rings come in wide range of shapes and sizes. Most of them are wider and bolder than women's rings. 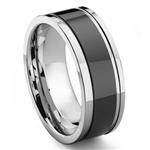 The modern man may choose a ring made of titanium or stainless steel to really make a statement. Gold and Platinum are popular types of metal for more expensive rings. Men's rings are usually inscribed or molded with unusual decorations as well. There are some clubs which men belong to such as the Masons or the Elks that use rings with symbols on them to declare status or enrollment. 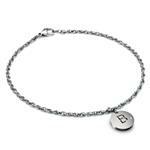 Jewelry for body piercing can be very simple or very bold. Most men will have a pierced ear with a simple gold or silver ring. 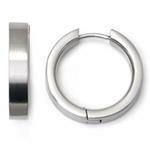 There are also eyebrow rings, nose studs and rings, belly button rings and jewelry for other more risqué body piercing. The tendency for some men with piercing is to stretch the piercing so that they can insert jewelry with a bigger gauge and it looks bolder. 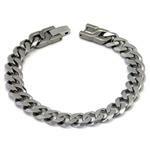 Men's necklaces also come in many shapes and styles. 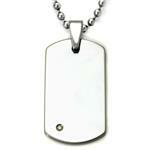 Most men prefer to wear a necklace in dark or neutral colors that won't stand out. Necklaces can be beaded or made of some natural substance like shells or glass. There are also gold and silver necklaces available for guys who want a little flash in their wardrobe. 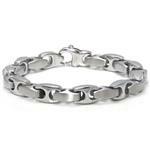 Men's jewelry is quickly growing in popularity and fashion. There are certainly other kinds of men's jewelry beyond the types listed here and it's available for any sense of style and taste a guy can come up with.